The Guideline Kaitum Waders have a new updated design in a Charcoal colour. These waders are a very light and comfortable stocking foot wader manufactured in a strong 3 layer nylon Taslan fabric with a 20 000 mm water resistance and a 3000g/m2/24hrs moisture transporting performance. An environmentally friendly PFOA/PFOS-free surface coating repels water and dirt effectively. There have no vertical seams on the inside of the leg. This makes these waders more resistant against wear. A slight pre-bend of the knee area further improves the fit. Adjustable suspenders and an elastic belt make sure they can be tuned to fit you well. 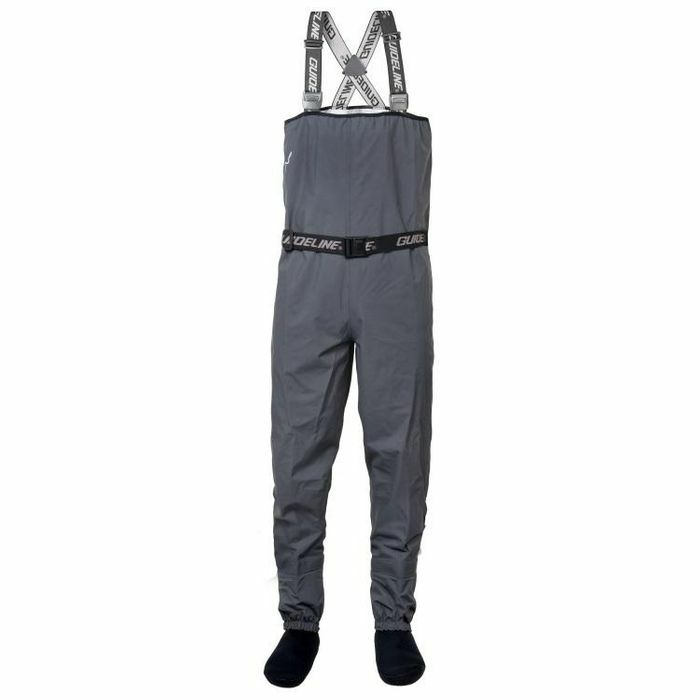 Kaitum waders have a clean design with an internal chest pocket that can be flipped to the outside if you prefer. This design makes them ideal for combining with a chest pack, a fly vest or a wading jacket without building up too much bulk. The built in gravel guards are in the same material as the wader and have a rubber reinforced hem with hook for secure attachment to the boot. The low weight and very comfortable fabric make these waders a great choice for walk in fishing, when weight and volume is an issue. They weigh 1010 grams in size L.
What do you think of this Johnnorris deal?